Steam Trains - Tick, Harbour views -tick, Snowdonia Mountians - tick. 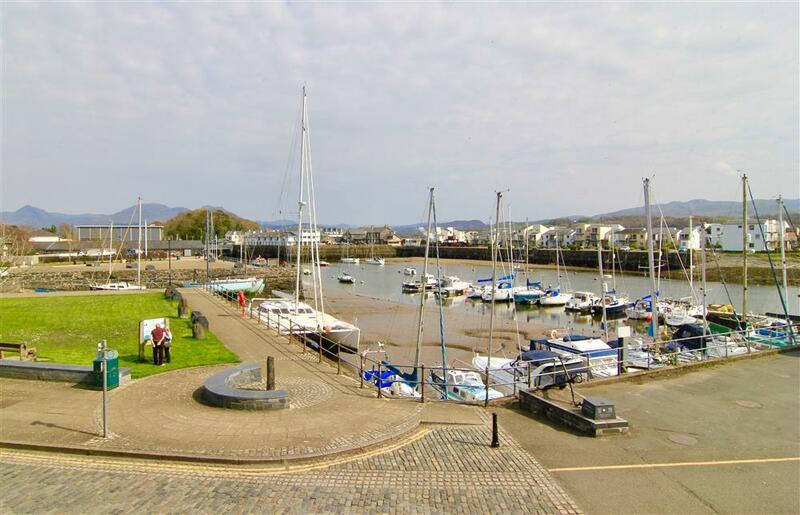 This lovely first floor apartment is in the historic Corn Mill on the Quayside in Porthmadog harbour with pleasant views of the Steam trains, bobbing boats and Snowdonia from the living room. It has a a well thought out open plan living area which is decorated with neutral colours and very comfortably furnished. Both bedrooms have singlebeds that can be used apart or put together. Access to the property is from the historic 'Big Steps' then it is a short level walk to both the the Ffestiniog Railway adn the high Street and the wild fowl in the wetlands of the Glaslyn river. Portmeirion village, Harlech castle and the Snowdonia mountain resort of Beddgelert are within a 10 - 30 minute drive through unrivalled scenery. Good central location for the mountains and choice of beaches with plenty of local attractions to enjoy and a comfortable apartment where you can enjoy the view morning noon and night..
2 BEDROOMS: 2 Twin bedrooms. Bed linen and towels provided. SHOWER ROOM/WC: with hand wash basin and heated towel rail. LIVING ROOM: including spacious lounge/diner with tv, dvd and TV recorder. Harbour views and including steam train station. 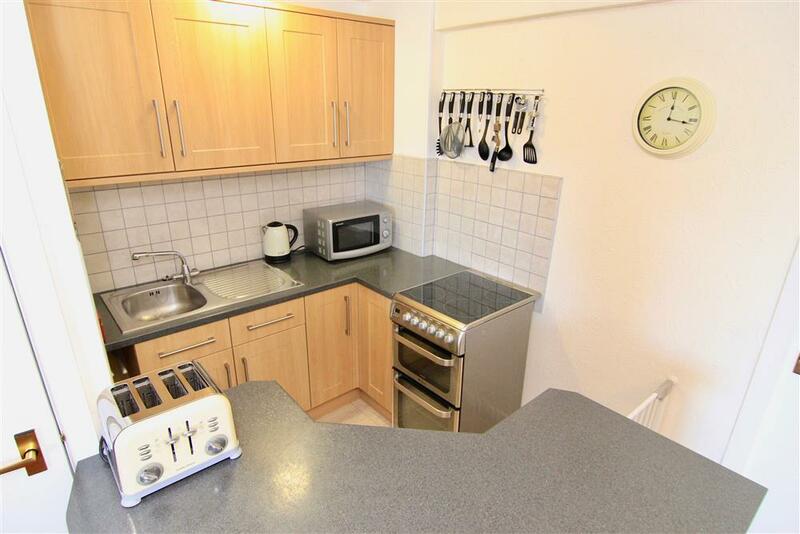 MODERN FITTED KITCHEN with electric hob, electric oven, fridge, and microwave. EXTRA: Stairgate available However there is no cot nor high chair (note that the bedrooms are small so a travel cot would work better with less people). Linen is not provided for your own cot. GROUNDS: There is a shared deck area above the apartment with various furniture plus the owner has deck chairs that can be taken up if required. Minibreaks available within 35 days. Street parking on cobbled surface but with flat pavers on pavement. Access up 13 standard rise external concrete steps to the front door. Living room open plan with kitchen enclosed by units. Both the bedrooms and shower room have access from the living room through standard width doors. Bedrooms have two 3 foot single beds in both with bedside cabinet and small wardrobe and a dining chair. Shower cubicle step is approximately 20 cms into a 70cm square shower cubicle. Stairgate available However there is no cot nor high chair (note that the bedrooms are small so a travel cot would work better with less people). Linen is not provided for your own cot.